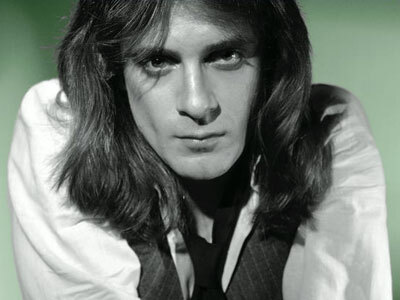 Eddie Money Biography, Discography, Music News on 100 XR - The Net's #1 Rock Station!!! Eddie Money was born Edward Joseph Mahoney on March 21, 1949, in New York, USA; at the age of 16, after he was thrown out of Franklin K. Lane High School for forging his report card, the family moved to Plainedge, Long Island, where the budding rocker joined a local band. The son of a New York City cop, Money continued the family tradition by attending the New York Police Academy; but after a stint as a desk clerk, in 1968 he moved to California to pursue his music career. With album Rock surfacing in all its glory in the late '70s, Eddie Money was signed to Columbia Records and eagerly embraced by fans under manager Bill Graham's tutelage. By 1977, he released his self-titled first album which inched into the top 40 of the U.S. Pop chart and ultimately went platinum thanks to top 20 hits such as "Baby Hold On" and "Two Tickets To Paradise". "Life For The Taking" followed a year later, it peaked at #17 on the Pop Albums chart spawning the magnificent hit single "Maybe I'm A Fool" and the minor hit "Can't Keep A Good Man Down". In 1980 "Playing For Keeps" reached the #35 position on the U.S. Top 200 LPs & Tapes chart but wasn't as consistent as his previous releases and the main single, "Get A Move On", didn't come close to cracking the top 40 of the Pop chart; that year Money's high life almost got derailed when he overdosed on alcohol and what turned out to be a synthetic barbiturate. His next album, 1982's "No Control", climbed into the top 20 of the Pop Albums chart and went platinum on the back of the Billboard Hot 100 top 20 hit "Think I'm In Love" which also crossed over to #1 on The Mainstream Rock chart; the second single, "Shakin'", was another Mainstream Rock top 10 hit. After the comeback of "No Control", Eddie Money produced the lackluster "Where's The Party? ", although the album replicated the formula of its predecessor, it only reached the #67 position on The Billboard 200 chart and generated a Mainstream Rock top 20 hit with "Big Crash". In 1986 the L.A.-based rocker released "Can't Hold Back" which shot to #20 on The Billboard Top 200 Albums chart while the monster hit "Take Me Home Tonight" emerged as Money's highest-charting single, going all the way to #4 on The Billboard Hot 100, the track also held #1 slot on The Mainstream Rock list; the second single, "I Wanna Go Back" was equally successful as it peaked at #14 on Billboard's Hot 100 and at #3 on Mainstream Rock charts; "We Should Be Sleeping" reached the top 20 of The Mainstream Rock chart and the final single, "Endless Nights" went to #21 on The Billboard Hot 100 in May of 1987 putting sales of the album into platinum territory, the track enjoyed generous airplay on AOR stations peaking at #10 on The Billboard Mainstream Rock chart. Throughout his career, Eddie Money has followed a successful album with another record that sounded remarkably similar to its predecessor and 1988's "Nothing To Lose" was no exception to the rule. However, this record was marginally better than "Playing For Keeps" and "Where's The Party? ", featuring a handful of well-crafted mainstream Pop-Rock songs, including "Walk On Water" which peaked at #9 on The Billboard Hot 100 and at #2 on The Mainstream Rock Tracks; "The Love In Your Eyes" earned Money yet another #1 Mainstream Rock hit; "Nothing To Lose", which reached the #49 position on The Billboard 200 Albums list, yielded two more Mainstream Rock top 40 hit with "Let Me In" and "Forget About Love". In November 1989 the excellent retrospective "Greatest Hits - Sound Of Money" was released, the set reached #53 on Billboard's Top 200 and the previously unreleased "Peace In Our Time" rose to #11 on The Billboard Hot 100 and to #2 on The Mainstream Rock Tracks. Eddie Money's eighth album of all-new music, 1991's "Right Here", failed to make it past #160 on The Billboard 200 chart even though it yielded the mellow ballad "I'll Get By" which hit #21 on The Billboard Hot 100 and two Mainstream Rock top 10 hits in "She Takes My Breath Away" and "Heaven In The Back Seat". But the radio play waned in the early '90s and his next studio album, "Love & Money", which was issued on Wolfgang label in May 1995, missed the charts entirely. The veteran classic rocker signed with CMC International in 1997, releasing the requisite live re-recording album "Shakin' With The Money Man" that year. Two years later, he delivered "Ready Eddie", his first collection of original material for the label. 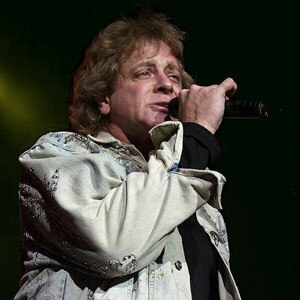 In March 2007 Eddie Money released "Wanna Go Back", featuring great performances of such '60s classics as "Higher And Higher" and "Good Lovin", just to name a few; the album also included the Adult Contemporary radio single "You Don't Know Me".